Diffusion Saturday, April 12th at 6:35 p.m.
for this new series reporting Seychelles Serge Marizy and Anthony Riviere we vibrate with the frenzied rhythm of Carnival Victoria 2013, which was a real popular success. To attract the eyes of the world, the Seychelles government has decided to create an international event. Carnival is the best way to raise crops in a good mood. The International Carnival of Victoria was born in 2011. For its third edition, 35,000 people were in the streets to cheer the troops of 40 artists from 26 different countries. Increasing success which attracts more and more photographers and television. Do not rely on the holding and frenzied dancing Brazilians. We are not in Rio de Janeiro. But Victoria, capital of Seychelles. The crowd is not as important, but the colors are the same and maybe even more varied. Carnival of Victoria together countries worldwide. Seychelles, Reunion and the Indian Ocean, however, do not have a culture of Carnival. The International Carnival of Victoria is only in its third edition. It was fabricated by the government, which does not hide it, in order to develop international tourism. To achieve this, the Seychelles involve the entire Indian Ocean. Reunion Co organizes the carnival. Bring the cameras of the world: the best way to develop tourism and the concept of Vanilla Islands. 40 troops marched from 26 different countries. This year is the Notting Hill which won first prize by making the best impression. But the Brazilians, Mauritians and others have nothing to envy to Londoners. Seychellois came in large numbers in the streets. 35,000 people according to police, half of the population of the Seychelles. Culture carnival begins to take among the Seychellois. Beautiful images on Southern Zone shows us the charged atmosphere of the Carnival of Victoria. Diffusion Saturday, April 19th at 6:35 p.m.
2 – Seychelles: Praslin, La Digue. Serge Marizy film and Anthony Lake: 7’20 duration. 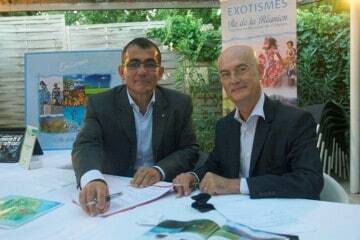 For the second week in Seychelles Serge Marizy and Anthony Riviere take us on Paradise Island Praslin and La Digue. Deserted paradisiacal beaches and coconut forests unexplored. 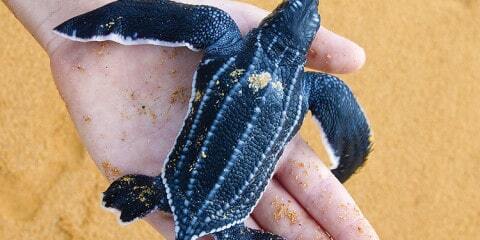 These are the treasures that hide the Seychelles. On the islands of Praslin and La Digue, the desire to preserve the authenticity of the landscape feels. The influx of tourists is under control but does not prevent both the development of the hospitality industry. Three types of structures differ on these two islands guest houses, hotels in the old and new boutique hotels. The scenery speaks for itself. The decor both heavenly and intimate dream. There’s no crowd, no influx of tourists. The granite blocks are the color of the sun, sky and sea on beaches reserved for the most curious. The charm is the strength of the small island of La Digue. With its neighbor Praslin is genuine asset Seychelles. Here no urbanization, no highways, the two islands want to preserve. To make the most of this charming guesthouses add a touch of freedom. Carl Mills has several La Digue. When he started in the business, the island had only twenty structures of this type. There are a hundred today. But small structures are not sufficient. Despite the desire to preserve nature and the charm of the islands of La Digue and Praslin, the two islands are moving … constantly changing. The major hotels are located. But even in large structures, marriage with nature and preserving the authenticity see at first glance. In one of the oldest hotels in Praslin, built in 1987, the premium is present. But luxury and modernity gave way to the charm and tradition. And out of the ordinary, new hotels pushing the concept of authenticity to its extreme. A La Digue, a few meters from the port, a small guest house turned into a few years real boutique resort. But with attention to blend into the natural setting. The rooms are built on the hill without no trees are destroyed. And the spa is simply embedded in the rock. The same way as the buttocks cocos and Vallée de Mai, the islands of Praslin and La Digue are preserved. To achieve this, the Seychelles government refuses mass tourism. The development of the two islands is without measure. Diffusion Saturday, April 25th at 6:35 p.m.
Film Serge Marizy and Anthony Lake: 7’20 duration. For this 3rd week in the Seychelles, Serge Marizy and Anthony Riviere show us the fishing industry, the second industry economic Archipelago. Tourism is not the only sector dynamic economic Seychelles. Since 1995, Victoria Harbour is home to one of the largest tuna canneries in the world. Ideally located in the Indian Ocean archipelago allows forty tuna come to deposit 70,000 tons of tuna each year. Tuna found in most cans sold in France, England and Italy. Tourism is not the only dynamic sector Economic Seychelles. Since 1995, Victoria Harbour is home to one of the large largest tuna canneries in the world. Ideally located in the Indian Ocean archipelago Allows forty tuna come to deposit 70,000 tons of tuna Each year. Tuna found in MOST cans sold in France, England and Italy. The digits run faster than the latter. On leaving the factory every day: 1.4 million cans in 25 000 cases. Towards Europe. These boxes, Europeans know very well. Three brands are produced in the Seychelles. Leading brands on the French, English and Italian. The plant Seychellois must respect very strict sanitary rules of the old continent. It was designed to follow them to the letter. Barely out of the water, the tuna is an express pass on the carpets to be made into preserves. Virtually all of the 70,000 tonnes of canned tuna produced each year are exported. Since the establishment of the factory in 1995, the European brands are immediately facing the Victoria Harbour. The Seychelle are ideally located. The boats have a day at sea to do to find the middle of several fishing areas. They are forty, mainly Spanish and French, to sail the seas in search of valuable tuna. Competition between fishing companies often turns into cooperation to find the best fishing areas in each new campaign. Trawlers out for seven weeks before returning to Victoria Harbour. Seychelles were well aware of the risks of overfishing. Fish is essential food in the kitchen. Each day of the week, the fish is at the center of the meal Seychellois since their childhood. And the Minister of Fisheries is no exception. The fishing industry employs 2,400 people in Seychelles. Of labor often from Asia or Africa because Seychellois prefer exposure to careers in tourism and trade. But with 800 direct jobs and 95% of exports from the seafood, the blue economy, as like to call the Minister of Fisheries, represents the greatest potential for economic development. 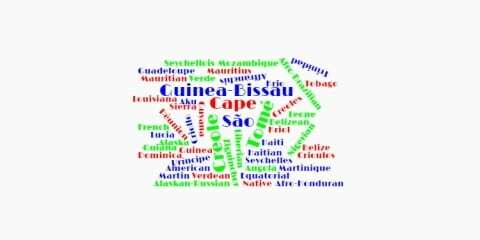 Diffusion Saturday, May 3 at 7:35 p.m.
For the 4th week in the Seychelles Serge Marizy and Anthony Riviere we explain the diversity of different cultures that inhabit the archipelago of Seychelles. Seychelles, just open your eyes to find inspiration. The landscapes are for many local artists or foreign force of creation. Miscegenation and the contribution of foreigners are other advantages that gives a distinctive Seychellois culture. French language and culture are part, but not only. The signing comes complete again a table. Adams, this name adorns thousands of works for 40 years in the Seychelles. 40 Michael Adams lives on the island of Mahé. Bamboo, rocks, beaches in the archipelago have no secrets for him. His studio in the garden allows him to escape, sometimes far landscapes he knows by heart. A life he passes on to his children. Tristan and Allyssa resumed his passion for painting, to bamboos and Seychelles. Now paints her daughter and son have their own gallery in the museum house of the Adams family. Joe Samy boasts of culture inspired by everyday life and the surrounding environment. Inherited a culture of shared with the English and French history. Diverse culture, enhanced by the contribution of foreign people, who now live in harmony. Creole, English and French: three equal and official languages ​​in speeches, but sometimes unbalanced. In recent years, the culture and the French language is in decline. The French Alliance present in 140 countries around the world, is to ensure that they return to date. The authenticity, the contribution of foreign and mixture of cultures and languages, are the strengths and uniqueness of the Seychellois culture. While the archipelago opens more to the world through tourism, these three forces must be maintained to continue. Diffusion Saturday, May 10 at 6:35 p.m.
5 – Seychelles: Tourism and Hotel Development. For this last issue Seychelles Serge Marizy and Anthony Riviere we explain the development of tourism and Hotel Seychellois. Known for its luxurious hotels, Seychelles has much more charm to offer. But to discover all the secrets of the 115 islands that form the archipelago, you better be in good company. Tourist agencies organize to offer guided tours complete with all the activities that make you dream the 200,000 tourists who come each year. Only on land but also at sea Discover the most beautiful corners of the archipelago, but also take a boat and go on an adventure. But difficult to approach the turtles themselves, tourists prefer to be well accompanied. The tourism boom Seychelles went through luxury with the siting and construction of resorts very upscale. Customers preferring to enjoy the sun from the pool of the hotel. But tourism stakeholders have realized that Seychelles has many other advantages. Over-development of infrastructure is not the only way. Involved to protect their island, talk about them and share it with tourists. At the heart of Praslin, Vallee de Mai houses the symbol of Seychelles. Buttocks cocos enable the country to come forward. Seychellois have understood. Seychelles, 1 employee 3 works directly in the tourism sector. But indirect jobs and the development of the sector, everyone working or has a family member who works in tourism: the best way for the government to make the public understand the importance of the sector to the economy the archipelago. Beautiful images on Southern Zone we discover the idyllic landscapes of the Seychelles archipelago. Rognac met le cap sur l’île de La Réunion !